Computers skills are important to be successful in the modern world. 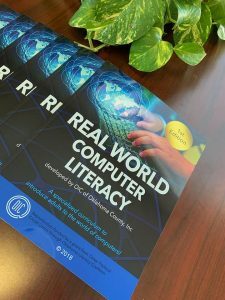 OIC’s Computer classes and workshops will help you see the value of technology at home, in the work place, and at school. At OIC, we provide basic computer training and access to technology. Learn how to type better, apply for college or work, and make a resume. Learn how to use software like Microsoft Office, connect with employers on LinkedIn, and create an email address. Gain the computer skills you need with our small classes and workshops. We will work with you to help you gain the computer skills you need to succeed. Classes and workshop times will vary throughout the year, check our calendar for up to date schedules. Adult Learners must be able to read at an 8th grade reading level and have a math level of 5th grade.